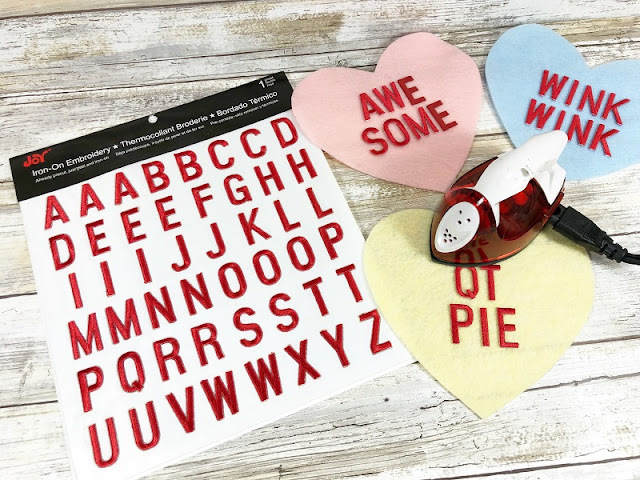 Share the love this Valentine's Day with a Conversation Candy Heart banner that is quick and easy with Joy® iron-on, embroidered letters! 1. Draw a heart on plain paper with a pencil. Cut out then trace onto Kunin Classic™ Felt Baby Pink, Lemon Yellow, Peach, Minty and Baby Blue with a permanent marker. Cut out with scissors. TIP: Remember to cut inside the lines so that you have a clean finished project. 2. Select messages then pop out letters from Joy® iron-on and embroidered letter sheet. The 1" Block letters in Red are a perfect match to the Conversation Candy Hearts! Line up on hearts and iron on according to package directions. 3. Draw a rectangle 5” wide by 8 ½” tall on plain paper. Then measure 2 ½” to the center and 1 ½” up from the bottom. Draw lines from the center point to both bottom edges. Cut out the banner shape. Then cut five (5) banners from Kunin Premium™ Felt White. 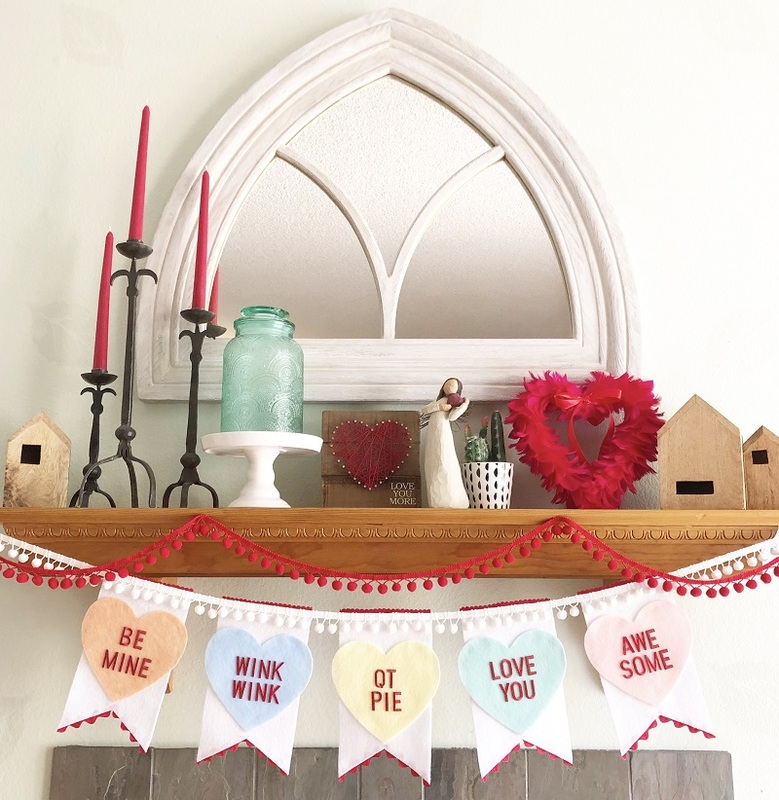 Attach conversation hearts to banners with hot glue. 4. Measure and cut five (5) rectangles 5” wide by ½” tall from Kunin Classic™ Felt Red, then cut out. Trim one long edge on each rectangle with scallop scissors. 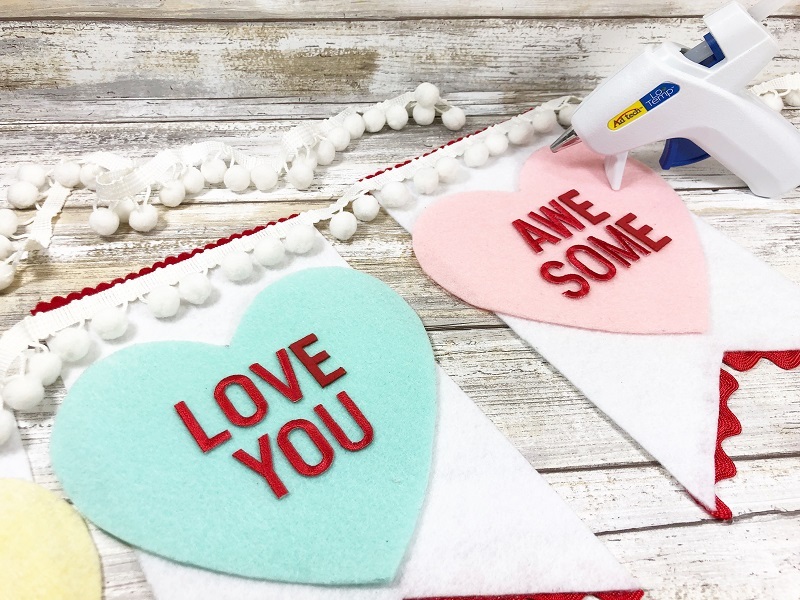 Attach to the top of each banner with hot glue. Flip banners over and embellish with Expo International Red Ric Rac. Line banners up on your work surface and attach Expo International White Ball Fringe across the top with hot glue. If you run out of a popular letter - like E - select another color of Joy iron-on and embroidered letters and paint them to match! 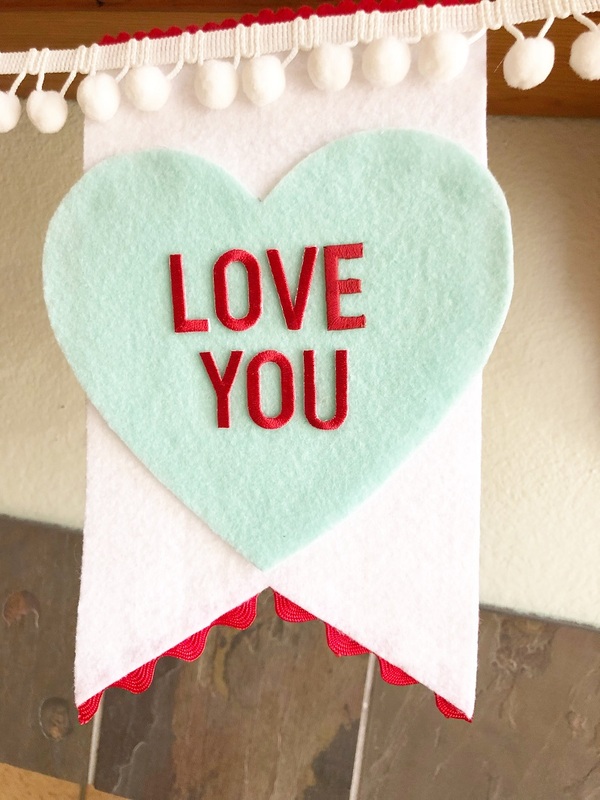 Here is a close up of the LOVE YOU banner. 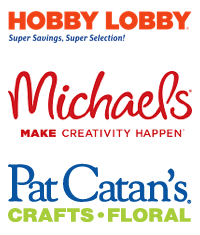 Look for Joy® Iron-on embroidered letters and appliqués at your local craft store. Letters, and letter sheets are available in different colors and fonts. 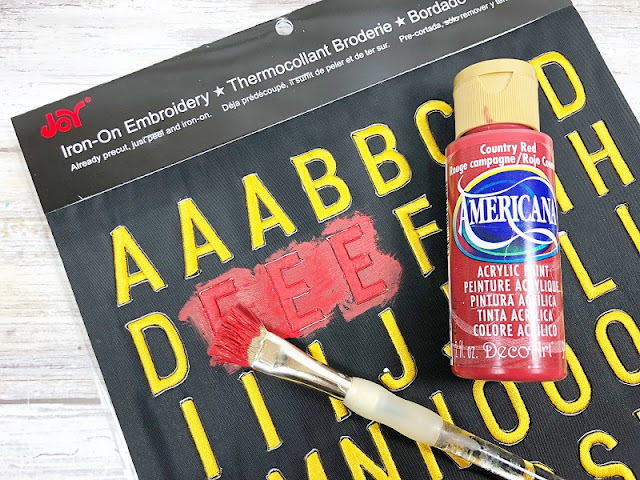 White letters can be colored with fabric markers, fabric paint, dye and more! 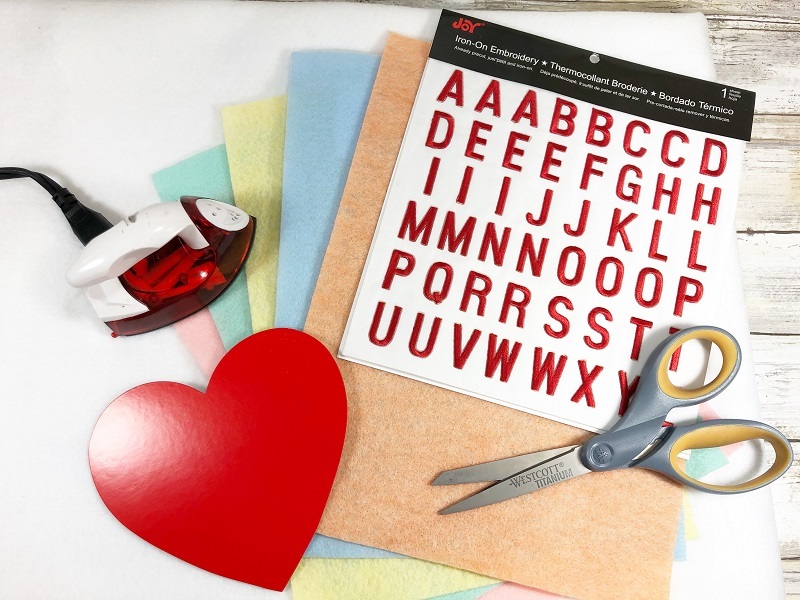 You can find Joy Iron-On letters at your favorite craft stores!